If you head over to Bullz-Eye’s James Bond Fan Hub, you may notice that the writer behind the painfully in-depth explorations of the Sean Connery 007 films is the same guy bringing you these beverage recipes week after week. 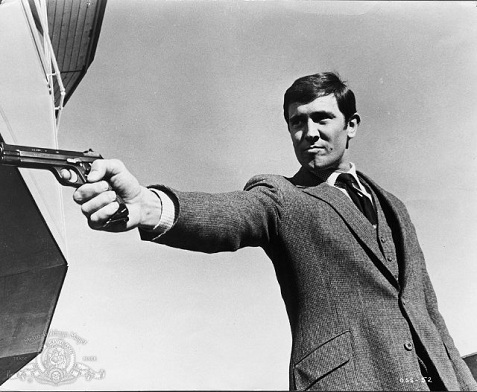 So, of course, when I attended this year’s TCM Fest, I was going to make it a priority to finally check out the 2012 restored version of “On Her Majesty’s Secret Service” on the big screen. 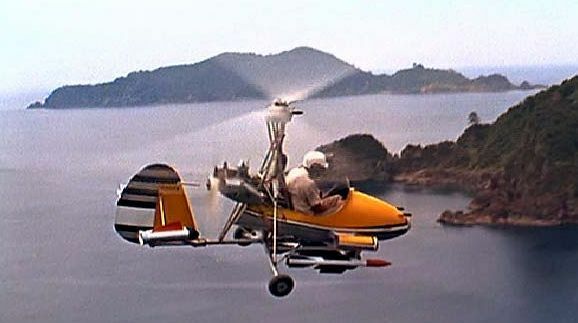 Though originally regarded as something of a disappointment largely due to the replacement of Connery by George Lazenby, an unknown whose performance remains controversial (I’m not a huge fan), there is a small but growing community who argue it’s the best film in the entire series. 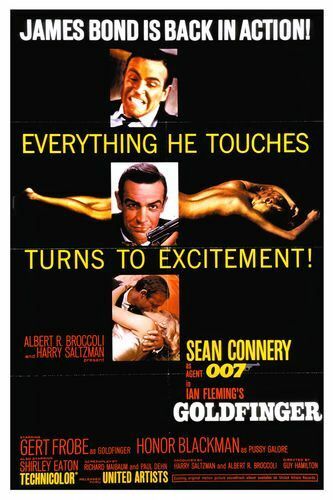 My position is that it’s pretty great and very likely would have topped even “Goldfinger,” if only Connery had, in fact starred opposite the film’s actual leading lady, Diana Rigg, who very definitely is the greatest of all Bond girls. 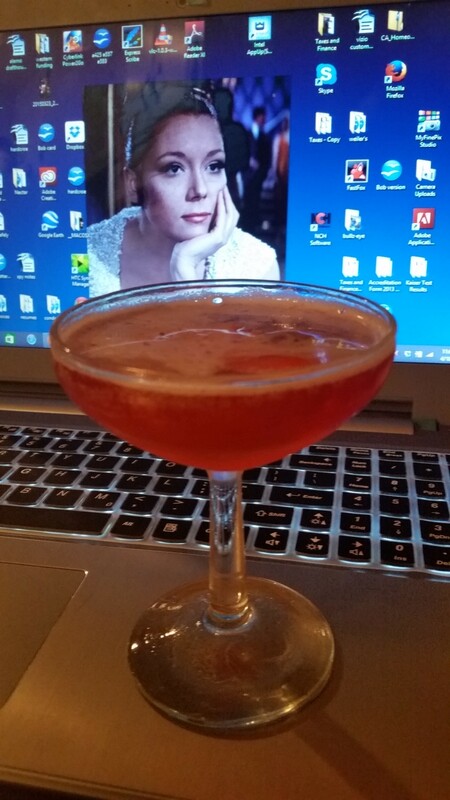 Today’s drink is devoted to easily the most complex and affecting leading lady in the Bond cannon so far. Teresa Draco, later the Contessa Teresa di Vicenzo, and ultimately simply Tracy Bond. 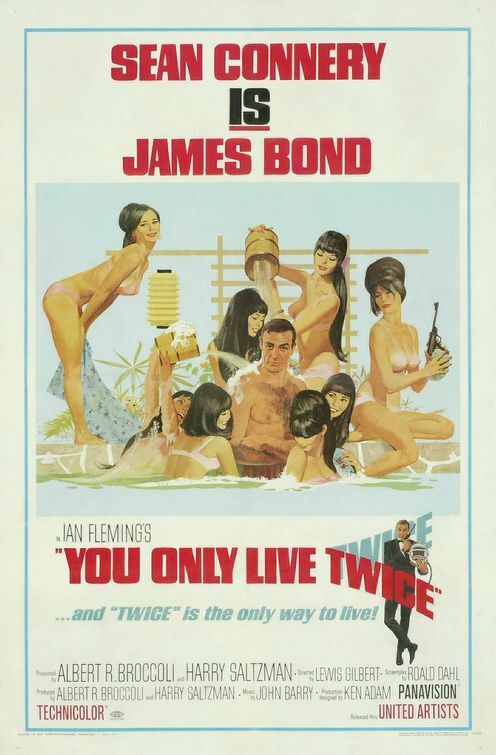 Especially as played by Diana Rigg, Tracy is no mere Bond girl. No, for all her girlish beauty, she’s really a full-fledged Bond woman who is more than capable of saving a superspy’s life after he saves her from death by suicide in the film’s opening. My liquid take on OHMSS and Tracy Bond is an homage and update to the Vesper, Ian Fleming and bartender Ivar Bryce’s tribute to the first of Bond’s lost loves from “Casino Royale.” And, yes, the Countess Tracy features bourbon, not gin. In the novels, Bond drank it probably more than anything else, and that meant he drank an awful lot of it. Combine all the liquid ingredients in a cocktail shaker with plenty of ice and, yes, shake this drink vigorously and never, ever, stir it. Ian Fleming hated ALL stirred drinks and his smirky, snobbish ghost will haunt you forever should you ever consider stirring any drink remotely related to him. Anyhow, once you’re done shaking your drink as if being chased by the nefarious twosome of Ernst Stavro Blofeld and Irma Bunt, strain it into a chilled cocktail glass (coupe or standard martini style). Add the orange twist and toast Diana Rigg. The adorable and entirely first-rate actress who played Tracy and also, of course, the greatest of all filmic female superspies, Emma Peel. I selected Basil Hayden’s bourbon because A. I had it in the house and B. It’s a damned fine bourbon of which I’m sure Bond and Fleming would have approved. Though named for an 18th century distiller, the brand wasn’t introduced until about three decades after Fleming’s untimely death. It was nevertheless featured, I understand, in the 2011 James Bond novel by Jeffery Deaver, Carte Blanche. My selection of Campari was directly inspired by the choice of beverage of Tracy’s beloved father, benevolent criminal mastermind Marc-Ange Draco. 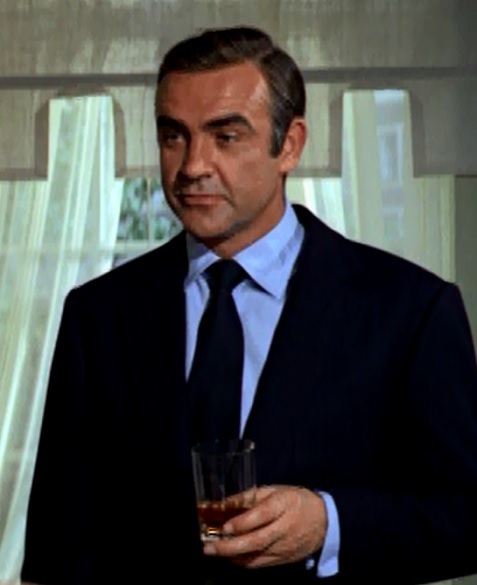 In the movie (and the book, if memory serves), he drinks the very sweet/extremely bitter liqueur straight while serving Bond one of his shaken martinis. Finally, the Lillet Blanc and the 100 proof vodka are pretty obviously ripped off from my explorations of the Vesper. I believe David Wondrich assumed the original Vesper used 100 proof Stolichnaya. I used Smirnoff because, well, it was in front of me. Today’s Lillet is apparently a fairly far cry from the Kina Lillet of Fleming’s day, and is one of the many reasons a modern-day Vesper needs to be modified a great deal to work properly. However, Lillet Blanc is a very lovely product in its own right, and it adds needed sweetness and light to the Countess Tracy. As for the drink as a whole, I think I did good this time. It’s a bittersweet and very tasty tribute to the only woman, save Moneypenny, James Bond ever truly loved. Like Tracy, it’s refreshing and bold, with more than a hint of darkness. It’s a drink for which, you might say, I have all the time in the world.